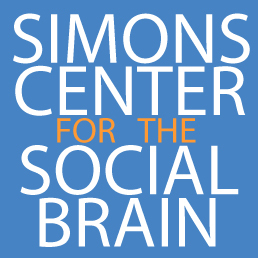 The Simons Center for the Social Brain studies the underlying mechanisms of ASD in both humans and relevant model organisms and systems, as neural correlates of social cognition and behavior exist in diverse species. Experimental approaches take advantage of MIT’s strengths in genetics and genomics, molecular and cell biology, analyses of neural circuits and systems, cognitive psychology, mathematics and engineering. Targeted Projects are collaborative, focused projects undertaken by multiple laboratories to explore in depth specific aspects or types of autism. These Targeted Projects are structured to encourage collaboration among researchers in order to quickly and flexibly address pressing questions in autism research. Postdoctoral Fellowships are intended for outstanding candidates with recent PhDs, who wish to conduct autism-related research at MIT under the mentorship of MIT faculty researchers. Please follow the links to learn more about the research supported by Simons Center Targeted Projects and Seed Grants, and the research interests of current and former Simons Investigators and Postdoctoral Fellows. For information about projects seeking research subjects, please see our Participate page.